Email marketing is perhaps the oldest form of online marketing, and it is still widely used throughout the world for reaching to the masses. Though some believe that email has lost its efficacy as a marketing tool for business promotion, experts say otherwise. Owing to the evolution of digital marketing, the rules of the game have undoubtedly changed, but it has not diminished the value. You may have to maintain multiple email lists based on the engagement and activity level. If some users show decreasing interest in your emails, make sure you stop spamming their inbox. Remember, it hurts the reputation of your business or brand if you keep pursuing a disinterested group of audience. As the SEO guru, Monaghan said in one of his talks "You are basically what you eat, and so is marketing." As a promoter, you need to empathize with the subscribers and treat them how you would want your inbox to be treated. Having a clearly defined goal for each email campaign is crucial. If you do not know what you want to achieve through your efforts, you cannot expect to convince the audience to take actions based on the emails. It is only after determining your goals can you strategize your marketing campaign more effectively. 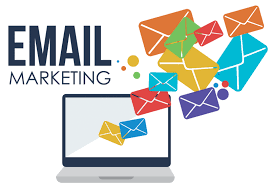 An email marketing campaign can have several purposes such as gathering data about your target demographic, garnering leads by having users fill out a form, letting users know about a season sale or limited-time offer, or asking them to redeem a promo code for purchasing from your website. If you want the recipients of the email to take a particular action, you must add clear calls-to-action and text links so that they find multiple avenues to help you achieve the goal. The behavior of each one in your target group is different, so devise your emails with maximum flexibility. Email personalization is a smart approach. It is found that that the emails with recipient's first name in the subject line or the HTML content tend to have more click-through rates than generic emails. Always stick with the core principles while personalizing emails. The best possibility is to personalize the emails based on the recipient names or company names. Test the emails thoroughly to ensure that you are sending them with the right recipient name. Personalization is also possible for local customers of a particular area or community. If you want to build engagement with the audience, there is no point in sending emails from the "no reply" accounts. As http://visionsmash.com/york-seo experts say, personalization not only works at the user end, but it needs to be perfect at your end too. You can boost engagement by personalizing the from the field of your email address and drive instant replies from the subscribers as they consider the sender as a real person. You may get several inputs on this, and the most popular version is that Tuesdays, Wednesdays, and Thursdays are the ideal days to send emails. However, now you may have to assume that these days are oversaturated with mailers, and it may be overwhelming to your subscribers. So, you may switch things up a bit and send emails on Mondays and Fridays. Experts also say that emails having calls-to-action perform the best on Saturdays and Sundays, so give it a try on weekends too. Always try to experiment with your mail sending schedules to identify which offers the best results. If someone fills out a form with contact details, then the engagement rates may be typically higher than those cold contacts that are blindly imported from a list. Such engagement is a good sign because the users that respond are interested in what you have to offer and they want to know more. Avoid the temptation of buying email lists. You will only be hurting your credibility by spamming uninterested users with your emails. Try to build a mailing list all on your own through constant and patient efforts. What you may be sending to them may be spam without knowing it. The definition of spam has actually changed lately. Graymails are those bulk mail messages which are not technically considered to be spam as the recipients have intentionally given you their info. However, in most cases, such promotional emails get ignored by the recipients, and engagement drops significantly as a result. So, it is ideal to stop sending the graymails and listen to the responses of people to define your ideal approach. It is better to suppress the unengaged subscribers and focus more on those who are interactive. This way, your acceptance will naturally increase. There is also no need to worry if you find a high number of unsubscribers from your mail listing. Instead, try to identify the potential cause of it. Once you figure out where you are going wrong with your approach, it would become easier for you to do damage control. In light of the above inputs, streamline your email marketing campaign, which is still the strongest and reliable mode of digital marketing avenue for instant results.